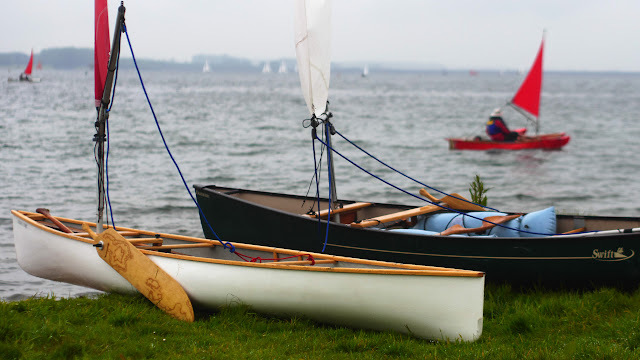 Adventure sailing in in many way the most distinctive of all British open-canoe traditions. That was true in the 1870s, and since the early 1990s, this tradition has witnessed a remarkable revival... one closely identified with a remarkable series of Scottish Coastal Canoe expeditions well documented through the Open Canoe Sailing Group's Gossip. In 2012, Gavin Millar showed just how far one side of the OCSG had progressed with his 1,000 mile journey in a Solway Dory Sailing Canoe. Today the Open Canoe Sailing Group is recognised, worldwide, as a truly remarkable home to this side of canoeing - running meets, training, expeditions and more. Ask questions here if you'd like to find out more!